Funeral services for Wallace F. Fink, age 84, of Albert Lea, will be held at 1:30 p.m. on Thursday, July 12, 2018 at Trinity Lutheran Church. Pastor Eileen Woyen will officiate. Interment will be at Graceland Cemetery. Military Honors will be accorded by local veteran’s organizations. Visitation will be from 5:00-7:00 p.m. on Wednesday, July 11 at Bayview/Freeborn Funeral Home and one hour prior to the service at the church on Thursday. 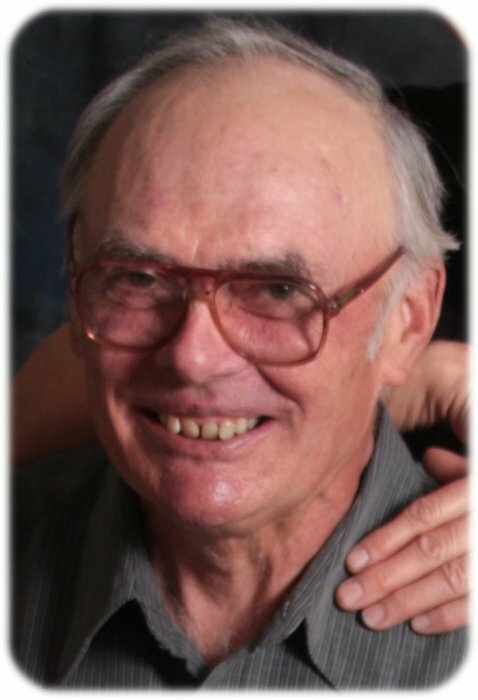 Online condolences are welcome at www.bayviewfuneral.com. Wally died Sunday, July 8, 2018 at his home. Wallace Frederick Fink was born on June 7, 1934 on a family farm outside of Mansfield, the son of Harold and Dorothea (Lutteke) Fink. He grew up in Conger, attending schools in Conger and Albert Lea. After high school, he served in the U.S. Army and was stationed in Germany. On June 16, 1963, Wally married Susanne Planting in Fairmont. Wally was a farmer and worked at Streater’s. He was a member of Trinity Lutheran Church where he served on Church Council, was a Sunday School teacher, and participated in Ushers Club and Stephen’s Ministry. Wally also served as a 4-H leader. He enjoyed reading, watching softball, and going for drives. He loved farming and living on the farm. Wally is survived by his wife, Susanne “Sue” Planting Fink; children, Doug Fink, Dan (Tammy) Fink, Darla (Tony) Simpson; grandkids, Brodie & Bryce Fink, Brooklyn Hogfoss, and Ryan & Bryn Simpson; siblings, Dwayne Fink, Joan Mattick, and Marge (Don) Laugen; in-laws, Naomi Schmidt, Janice (John) Graham, Hazel Planting, Lyle Planting, Don (Julie) Planting, and Peggy (Tom) Newville; and many nieces and nephews. Wally was preceded in death by his parents, Harold and Dora; sister, Dolores (Lane) Lee; brothers, Roger (JoAnne) Fink and Steve Fink; father and mother-in-law, John & Myra Planting; brothers-in-law, John (Darlene) Planting, Wayne Planting, and Norman Schmidt; and sister-in-law, Marlene Planting. Memorials preferred to Trinity Lutheran Church or Youth for Christ.